My brain is absolutely scrambled, but that won't stop me from sharing the dopest Saturday morning soundtrack. Tensei's "Liquid Tongues" featuring A. Billi Free's silky voice is a trippy blend of r&b and indie music. Imagine if Tame Impala were to make music with The Internet kind of thing. 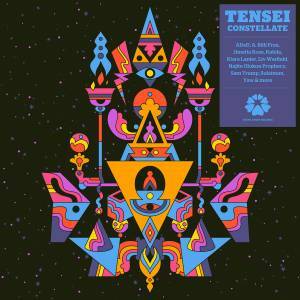 Tensei (which means Heaven Star in Japanese) is the composer/producer tandem of Chris Kramer and Midas Wells. The guys are inspired by soul, hip hop, soul, r&b and psychedelic music and have done remixes for artists such as Bilal, and Tokimonsta//Anderson .Paak. That on its own is a reason to fall in love with their music, but the real gem here is "Liquid Tongues". I highly recommend watching the music video (thanks to TokyoDawnRecords) that comes with the track. A real treat.